Lifting capacity (kg): 60; 130. Seat Height (cm): 20.50 - 41.30. 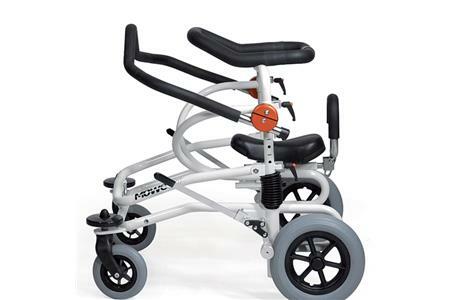 Exterior and interior walker, the spring suspension seat facilitates walking training. The lowering device facilitates access to the aid.